The Post-Harvest Innovation (PHI) Programme is a public-private partnership between the Department of Science and Technology (DST) and the Fresh Produce Exporters’ Forum (FPEF), with the FPEF as the implementing partner. The Programme is funded by the DST’s Sector-Specific Innovation Fund. PHI is directed at developing innovative technology in the postharvest leg of the fresh fruit value chain, to develop and maintain the global competitiveness of the South African fresh fruit industry. The DST’s premise for initiating and supporting the PHI Programme, launched in 2007, was based on the need to address the innovation challenges for building a competitive and sustainable fresh fruit export industry. The South African fresh fruit industry, which derives more than 50% of its income from exports, provides direct employment to an estimated 460 000 people and plays a vital role in sustaining rural livelihoods. Since the fruit industry is considered an important employer in the South African economy, it is extremely important to ensure that the industry remains profitable, sustainable and internationally competitive. 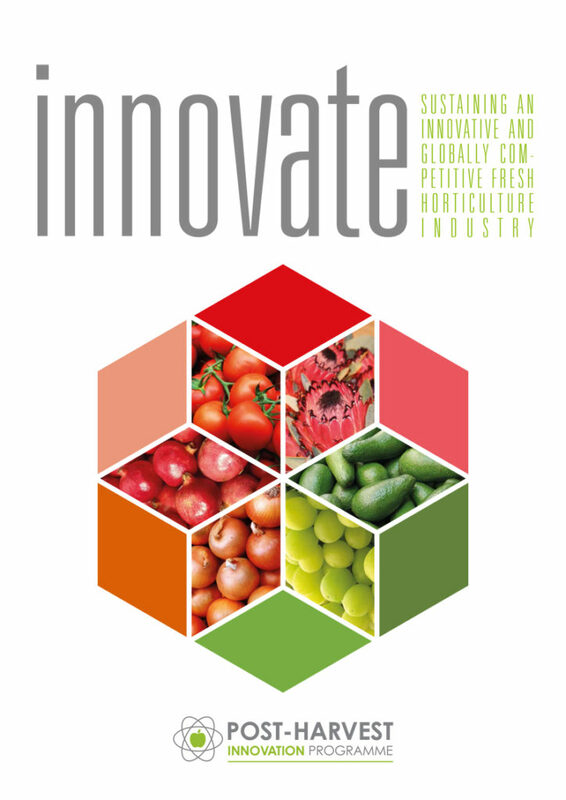 A globally competitive fresh horticultural industry developing innovative postharvest technologies.